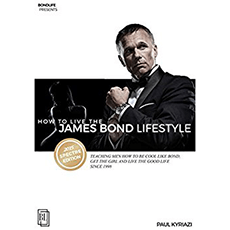 Paul Kyriazi’s James Bond Lifestyle seminar has been studio recorded with effects, music, and dramatizations. This seminar won’t make you 007, but it aims to make you the real you, the individuality that is you. This book is designed to help you create your own James Bond like style, confidence, and prosperity.